Flight training is the beating heart of P6. Our commitment is to provide the best flight training experience in the world. We do this by employing instructor pilots who understand the value of balancing real-world client needs with the strenuous demands of flight training. It’s about ensuring our clients don’t simply meet the requisite tasks to become a pilot, but exceed those standards by experiencing flight training next to professional pilots. The Adventure begins with your private pilot training in a 2018 SR20 G6. Our clients tend to immerse themselves immediately, flying nearly every day. We spend part or the entire day together learning how to be a safe pilot, operate at all types of airports and to be confident flying in the NY Class B airspace. ⁃Instrument training is conducted in a 2018 SR22 G6, literally flying across the country — to Catalina Island and back. This experience ensures that you become the most well-rounded pilot possible. 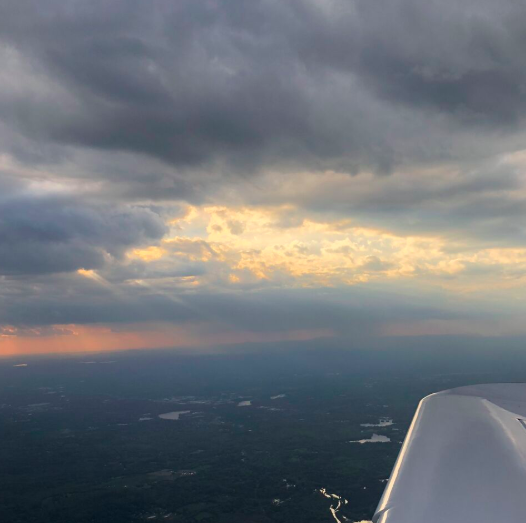 You’ll see actual instrument conditions, receive countless ATC clearances and instructions, land at some of the busiest airports in the country and generally return to NJ with a very different perspective. There’s learning to fly and then there’s learning to fly in the Northeast US. Located in the heart of the busiest airspace in the world, flying at P6 means that you will become an extremely capable pilot. You’ll experience rapid interactions with the New York ARTCC, flight in all types of challenging weather and you’ll do it all under the guidance of pilots with a vast amount of experience. As the saying goes, if you can make it here, you can make it anywhere. Start your flight training today!